I love desserts that you can make the night before, know that it’s going to turn out great no matter what, and look forward to eating the next day. This light-as-air, fluffy, gently sweet chocolate mousse with little crunchy bits of almond definitely ticks all those boxes, and it’s such a breeze to make! Who is Auntie Louise, you might ask. She is a lovely family friend of ours that brings Trifle and other delicious desserts whenever we have a dinner or gathering. 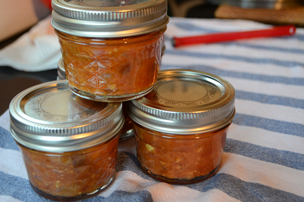 This is another one of her killer recipes which is such a great idea that it should be shared! 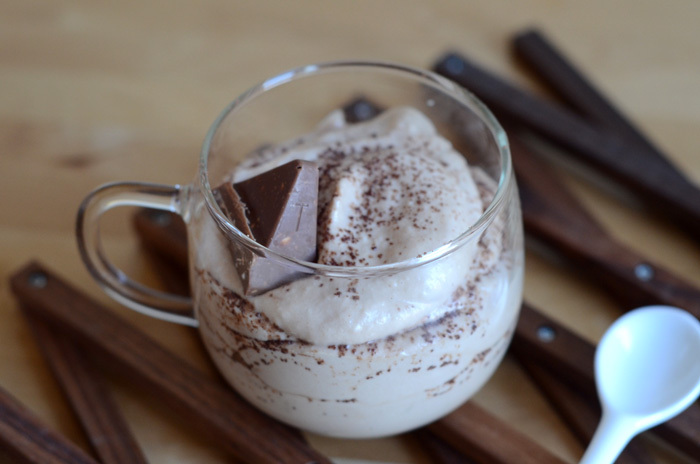 Just as a disclaimer though, if you want a really decadent, rich chocolate mousse, this isn’t it — there isn’t a huge amount of chocolate and it has more of a mild milky flavor, a bit like Milo or a chocolate milk. 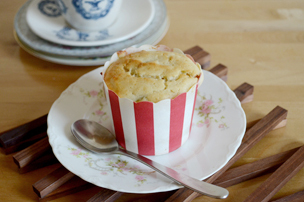 Resist the temptation to eat it straight away because it’s even better the next day! 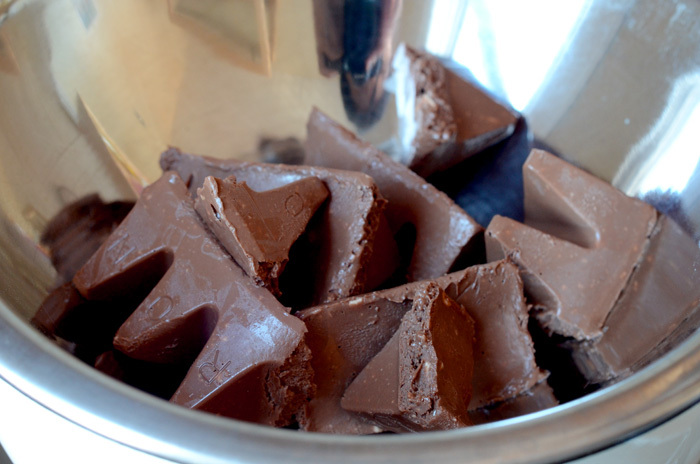 Break up the toblerone bars and melt in a double boiler. Once melted, turn off the heat but leave the melted chocolate on the warm pot, as you don’t want it to cool and harden too quickly. 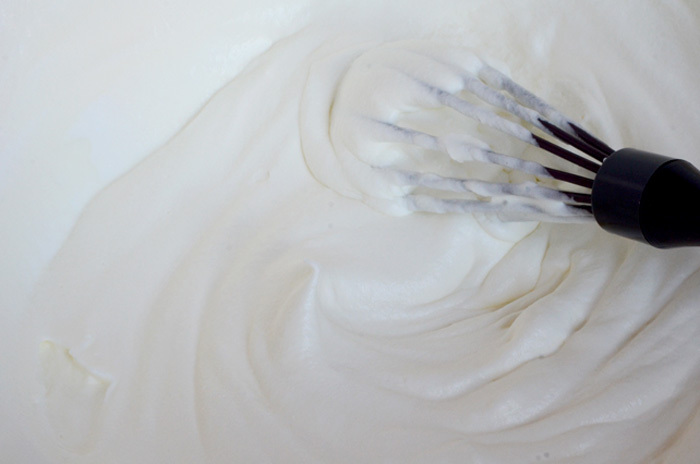 Whip the heavy cream to a stiff peak and keep in the fridge if you are working in a hot kitchen. Separate the egg yolks from the whites. 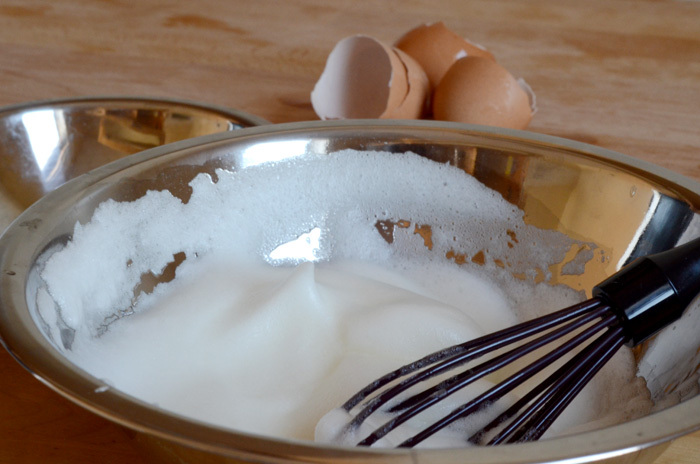 Whip the egg whites to a stiff peak and leave in the fridge. 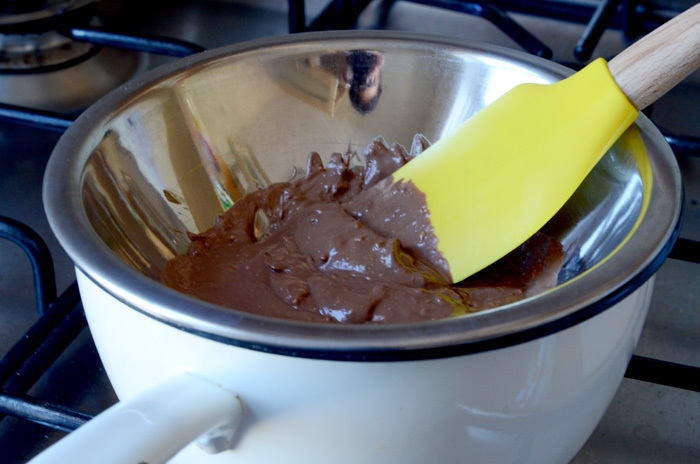 Remove the chocolate from the double boiler into a large bowl; if it has started to set, give it a little more heat. Beat the egg yolks over the hot steam for a few seconds to warm them slightly. Combine the egg yolks to the chocolate (and liqueur, if desired) and mix well. Mix in the fresh cream in 2-3 batches, and carefully fold in the egg whites. 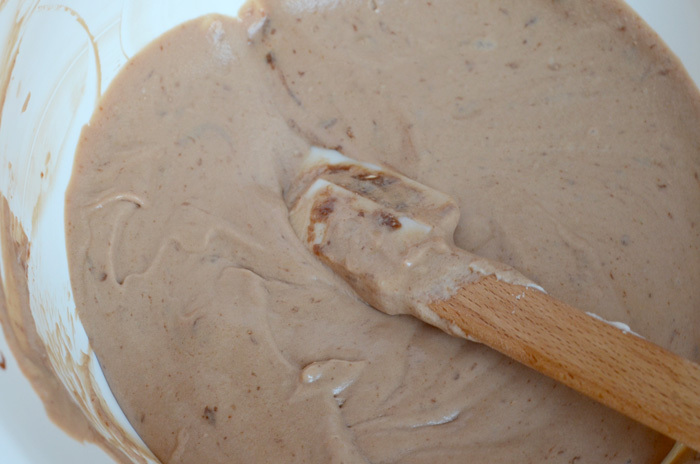 It’s best to chill the mousse overnight, either in a large bowl or you in separate serving cups/bowls. 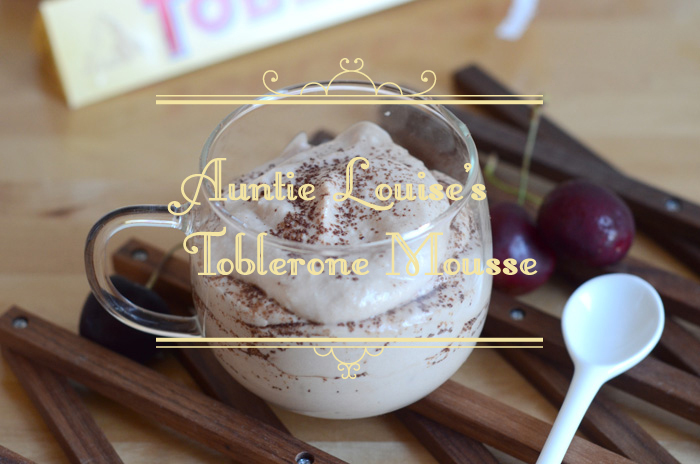 Serve the mousse in generous dollops, I like to add some cocoa powder between layers to give it an extra cocoa kick; or you can serve the mousse with a little chunk of Toblerone! © 2012 Sort and Paper. All Rights Reserved.